Peter Thorpe with a rocket painting in progress at Transformus 2005, a Burning Man regional event in western North Carolina. Photo copyright Todd Bush Photography. 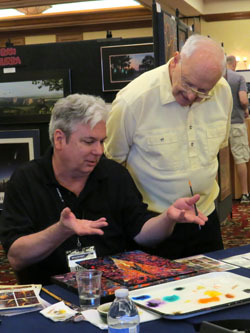 Peter Thorpe shows a rocket painting in progress to Alan Bean, Apollo 12 Lunar Module Pilot, fourth man to walk on the Moon. Photo copyright Mark Usciak, 2013. 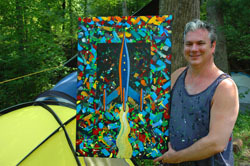 "I started the rocket paintings in the mid 1980s as a way to use paint that I would have otherwise thrown away. After each commercial job I did, there would be a pallet half full of left over paint. It pained me to throw it away, but the next painting required a new pallet. It finally occurred to me that I could easily use the left over paint to do an abstract background on a blank board or canvas, thereby recycling the paint. But, what should I do with these abstracts? At the same time I was doing graphic design for the Space Frontier Foundation in New York City. We held meetings on the aircraft carrier Intrepid, docked on the west side, a fledgling museum at the time. Inspired by the energy there, I decided to paint rockets and planets on top of my abstract backgrounds. The original idea was to do 100 rockets. I have a life long love of space exploration and space science. I believe that we need to take the next step into space, out into our solar system. I hope it happens. The rocket paintings are my attempts to inspire people to explore space. The retro look reflects my experiences as a child in the 1960s, becoming interested in space exploration. The abstract backgrounds come from my experience in art school, and a desire to do fine art. I put the two together for this series. But the rockets are really not that different from my commercial work. They are icons for the coming age. Many people have supported the rocket paintings, so I continue to do them. Thank you to everyone. 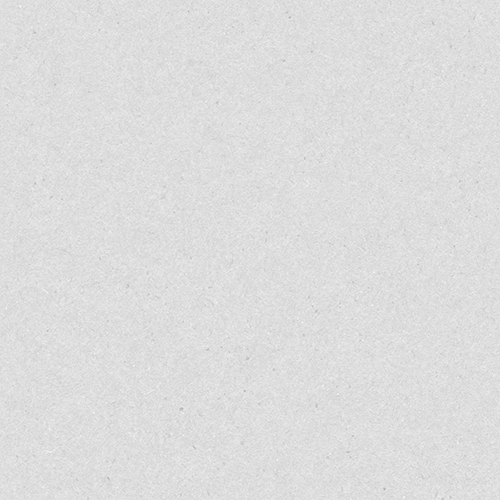 Ad Astra!" Rocket Paintings are in the collections of Spider and Jeanne Robinson, Richard and Wendy Pini, Ben Bova, Andrew Chaikin, Robert Godwin, Rick Tumlinson, and Vanna Bonta. and select originals, are available through the Peter Thorpe pages at Novaspace Graphics. A few Rocket Painting originals are available at Parrish Books. Rocket Painting canvas prints and posters are available at the RocketZoom Zazzle store.